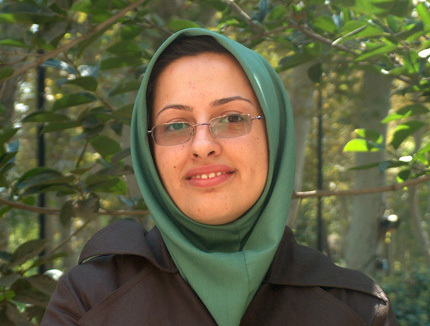 The International Union of Pure and Applied Physics (IUPAP) has chosen Dr Yasaman Farzan of IPM as the winner of the IUPAP Young Scientist Prize in Particle Physics in 2008. This prize which is a recently established one, will be awarded every two years in the field of particle physics, preferentially one to a theoretical and one to an experimental young particle physicist of outstanding scientific achievements. The 2008 prize is the first IUPAP prize in the field of particle physics. Yasaman Farzan is the winner of the theoretical IUPAP prize. The IUPAP prize consists of an IUPAP medal, a certificate citing the recipient's scientific achievements and a small honorary cash award which will be presented at the 34th International Conference on High Energy Physics (ICHEP2008) Philadelphia, USA, July 30th-August 5th, 2008. The major research groups at the school are string theory group and plasma physics. Other active areas include accelerator physics, cosmology, particle phenomenology, condensed matter foundation physics and quantum gravity. Besides, the school of physics is conducting a project at CMS as part of contribution of Iran to the Large Hadron Collider (LHC) of CERN.